Exit Strategy by ESOP or Co-op: An Employee Stock Ownership Plan or Co-operative Ownership are both increasingly popular options as exit strategies for entrepreneurs and small business owners. My next-door neighbor set up an Esop so that he could retire from his family electrical business, and a graduate student of mine manages a successful solar co-op. I was a board member of a large grocery co-op. 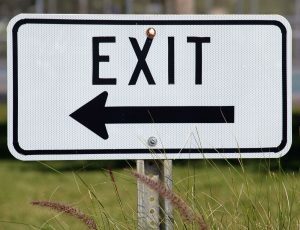 An exit strategy by ESOP or Co-op is seldom mentioned by startup advisers, who focus as do venture capitalists, on outright sales/buyouts, mergers, private offerings, DPOs, or IPOs—and small/medium sized business end by being sold if there’s no family to take over. An exit strategy by ESOP or Co-op can be particularly advantageous for ventures that have a strong purpose, rather than making money alone. Chances are high that the people who work in such businesses will be as committed to that purpose as the founders themselves. Employees will gain from taking ownership of the company, not only financially, but also from being able to influence its strategic future. The two structures are however, very different. In a co-op, each member has one share with equal rights. An exit strategy via this route can be done in a measured, rather than a deal making, way to the benefit of both the owner and participants in the co-operative. The owner can continue to work in the business if so desired, and participate in capital allocations, or remain passively as an equity or a loan financier. The owner can benefit from certain tax advantages through the process, though this may not be the primary motivation for the purpose-driven entrepreneur. For members of staff, it is likely that their motivation will be greatly enhanced, by comparison with a sell-out to new owners in whatever form. They will have a more direct sense of participation in the future of the enterprise. The process may be somewhat drawn out, with a larger number of individuals involved than would be the case with a sale or flotation. Of the exit strategy by ESOP or Co-op, each has a different set of issues. The Co-op route may require more negotiation, given that while the commercial operations continue as normal, the employees may be more reserved about the change . There are several sources of help and assistance for converting a company into a co-op, in addition to lawyers or accountants. Examples include Co-opLaw.org, Grassroots Economic Organizing, Shareable, or Democracy at Work Institute. The value of the shares at any given time depends on an annual independent valuation of the company. Typically employees receive the cash value of the shares in their account when they leave or retire from the company. They never directly own the shares and only under rare circumstances can direct how those shares get voted. Of the exit strategy by ESOP of Co-op, the ESOP route might lead to an increased value of each owner’s shares, whereas the co-op members only hold one share each. There are several sources of help and assistance for establishing an ESOP, in addition to lawyers or accountants. A couple of examples are the ESOP Association and the National Center for Employee Ownership. In the for-profit field, people who can help include ESOP Services, and Principal Financial Services. The IRS has tax help for ESOPs. Bear in mind that the owner who seeks an exit strategy by ESOP or Co-op needs to proceed cautiously. Any exit plan may prove more stressful than setting up in the first place. One route that would be interesting to explore is to talk with The Working World, that builds cooperative businesses in low-income communities, using a groundbreaking model that combines non-extractive finance with tailor-made business support. An exit strategy by ESOP or Co-op probably requires a longer lead time to plan than an outright sale of the business, given the human factors involved. Human factors are probably the most critical aspect of an exit strategy by ESOP or Co-op. Buying into the dream created by the founders is not easy, unless the company founders have already created a way of being that meets the aspirations of the people employed. A good example of this is the transformation of a company to an ESOP in the advertising world—Butler and Till. “The transition was really well planned and well executed,” says Kimberly Jones, who gave most of the credit to her predecessors, Sue Butler and Tracy Till. Three-quarters of business owners do not have an exit or retirement plan (Small Business Owner Life Stage Study). What’s more, a third of founders expect to be gone from the business within 5 years. I know that planning to leave a business that you excitedly started seems an odd thing to have to think about. My own experience was that I did not think about it until ten years in. The trouble is that when you want to get out, it may not be the right time. Also you may be thinking the business is worth more than it really is. Chances are that you will think that your sweat equity is worth a fortune, when it’s really not. A group of my MBA entrepreneurship students worked with a local entrepreneur who wanted to retire, by selling the business to employees. However, he had not taken steps over the years to make the business worth buying, and he still carries on without a plan.